Produce and store cleaner power at your buildings with state-of-the-art technologies—like solar photovoltaic (PV), cogeneration, and battery storage. You will reduce costs while providing clean energy as well as reliable, immediate backup power in the event of an outage. 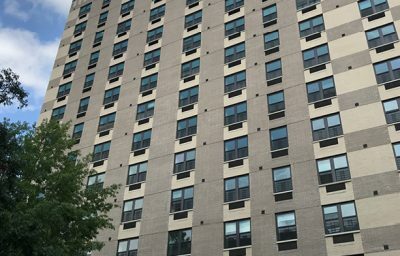 When utilizing the right set of technologies for the right building, they can pay for themselves through demand reduction, peak shaving, and reduced energy supply costs. Bright Power uniquely offers early-stage feasibility and design services all the way through turnkey design-build project implementation for both new developments and existing buildings. Harnessing the energy from the sun, solar PV delivers clean, renewable electricity to your building. With a decade of design and installation experience in windy, densely populated, urban environments, Bright Power is your partner for solar PV. We have an eye for aesthetics, given our experience designing cutting-edge solar for new developments and existing buildings. Best-in-class safety measures are standard for every Bright Power solar project. Concerned about the complexities of urban solar? You can rest easy with Bright Power. We have extensive experience installing on both existing buildings and new developments. With superior installation practices, highly experienced crews, use of high-quality and efficient materials, we deliver the savings and benefits of solar to your property. There are multiple ways to pay for a solar PV system. Some owners and developers prefer to pay for the system upfront. For others, that might not be a possibility. There are many options in that case, whether you opt to finance or your building becomes a host for a solar system via a roof lease, Bright Power will help you make the best possible decision. Bright Power is a Community Solar—or community distributed generation (CGD)—expert with experience designing and installing on a single roof as well as on multiple roofs to service a large number of subscribers within the service area. Amplify the effectiveness of your property’s resiliency with battery storage. 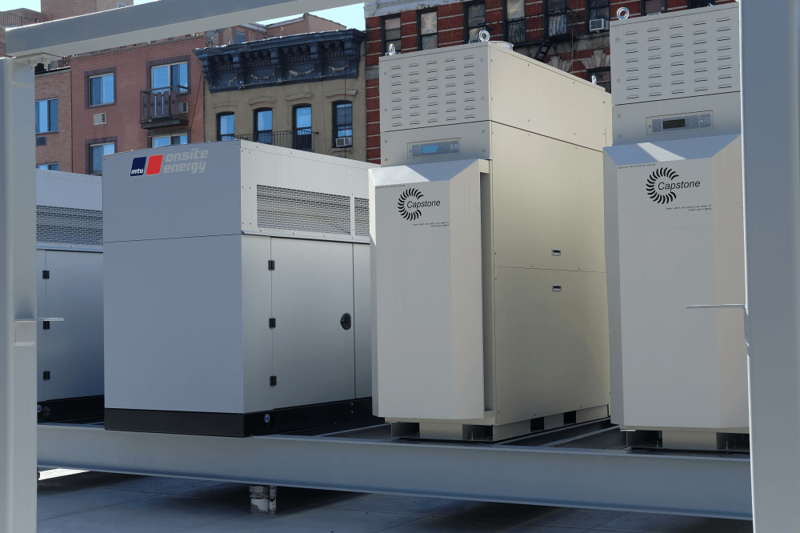 It captures electricity—whether generated from the grid, solar, or cogeneration—and stores it for use during peak demand hours or grid failures. 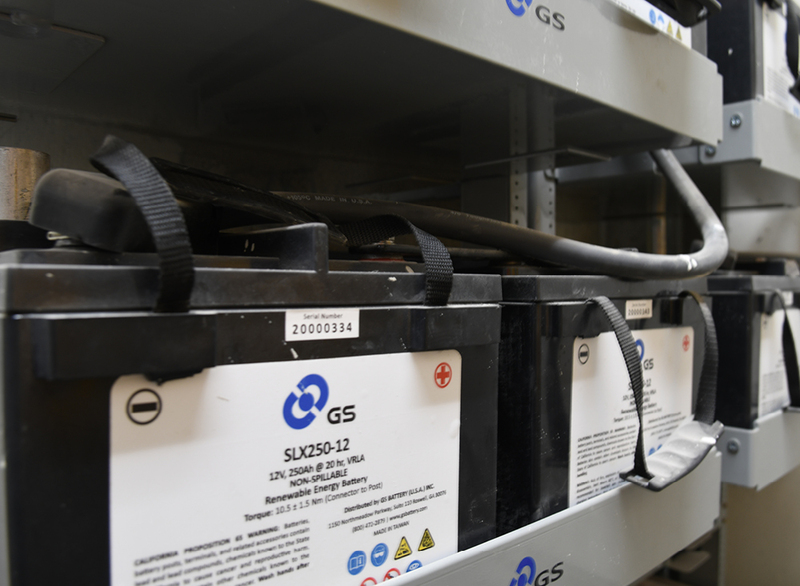 In addition to being a source of reliable backup power, batteries can help you cut costs by reducing high peak demand charges. And you can also generate incremental revenue through net metering—selling stored electricity to the utility. Cogeneration uses natural gas to provide onsite power to both electrical and domestic hot water systems. Cogeneration (commonly referred to as CHP) captures the waste heat created during the generation process and preheats domestic hot water, delivering savings and efficiency to the building. By generating electricity through the use of natural gas, the building is better protected during an electricity grid blackout—lights, pumps, and elevators can still operate. Cogeneration natural gas rates can be even more cost-effective in areas where electricity rates are high as utilities may offer additional discounts to offset high demand. Cut operation costs, improve site efficiency, reduce carbon emissions, and protect your building from blackouts and other utility vulnerabilities with Bright Power’s Resilient Power Hub. 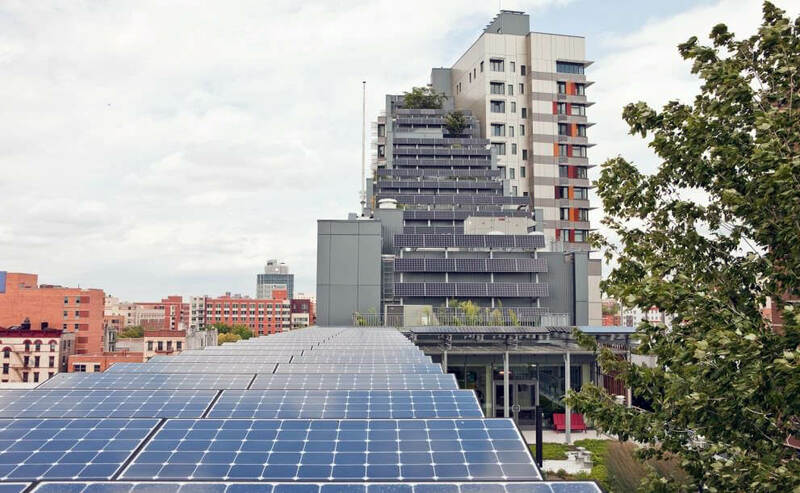 Winner of the 2015 RISE: NYC Innovation Awards, the Resilient Power Hub integrates three on-site generation technologies at one property: solar PV, cogeneration, and battery storage. Modular in design, the Resilient Power Hub can be scaled in size to meet the needs of any property with direct rooftop sunlight and access to natural gas. With the integration of these cleaner technologies, the Resilient Power Hub will unleash electricity and natural gas savings, shave peak demand, and provide emergency backup power to critical functions such as elevators, pumps, and lighting. For me, there’s no ambiguity about reducing energy costs with solar or efficiency. It’s good for everyone—the environment, the city, as well as long and short-term operating costs. Community Access worked with Bright Power to install our Resilient Power Hub (RPH)—a combination of 53 kW solar PV, 18 kW battery storage, and 10 kW cogeneration unit—to operate efficiently with site security. 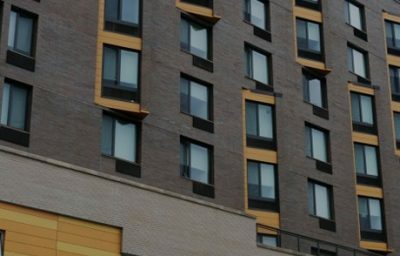 Designing a cascading solar PV system across the top and down the facade of Via Verde enabled the panels to appear vertical without sacrificing their efficiency. 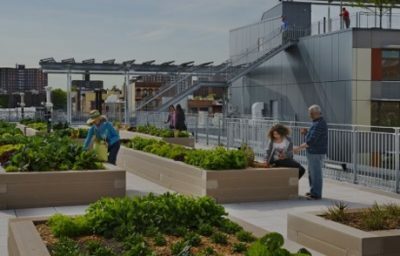 Bright Power worked with the owner and the design team to integrate energy efficiency and solar energy into the building's plans from the start. The most notable features include a high efficiency condensing boiler plant that will provide hot water and heat to the building at a combustion efficiency of over 90% and a 114 kW solar PV system.